The leakage of engineered E. coli from the pipeline system into the natural environment could be of potential risk, and to prevent that from happening, we need to introduce a suicide system. 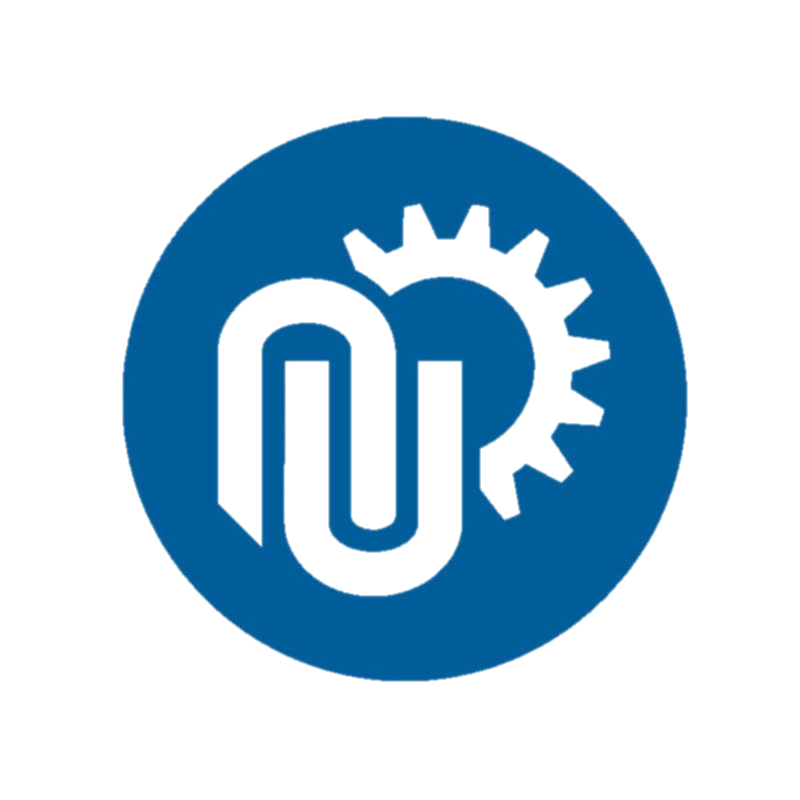 Considering that the pipeline system is a semi-closed, no-light environment, we used light-on system to express nucleases to kill engineered E.coli under conditions with light. 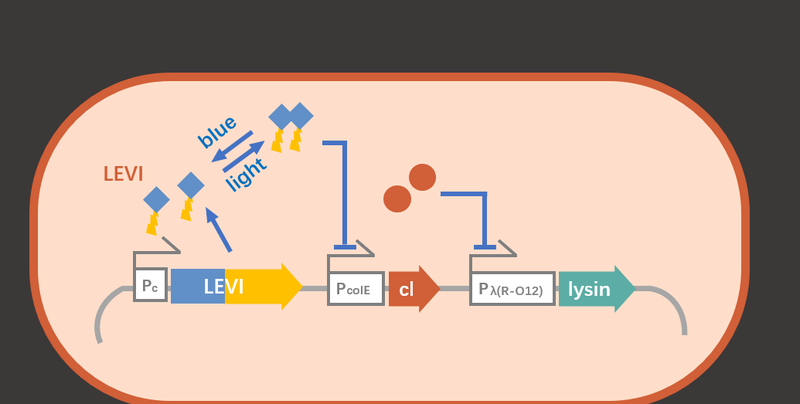 The light-on system is realized by the light-sensitive protein LEVI. In the absence of light, the LEVI protein is a protein monomer, which is often expressed in cells. When exposed to certain wavelengths of light, LEVI will dimerize and bind to specific sequences to inhibit gene expression. Therefore, similar to the principle of the iron reversal system, we need to introduce the cI gene, and cI will inhibit the promoter Pλ (R-O12). Therefore, when light is present, the expression of the nucleic acid hydrolysis gene can be initiated. First, insert the mCherry reporter gene into the vector pLEVI0n to characterize the effect of light control system. Plasmid pLEVIOn is from Professor Yi Yang. The plasmids are transformed to E.coil 3J1.Positive bacteria is cultured in LB culture medium adding with 0.1% streptomycin overnight, then 1% inoculum of culture solution is operated. 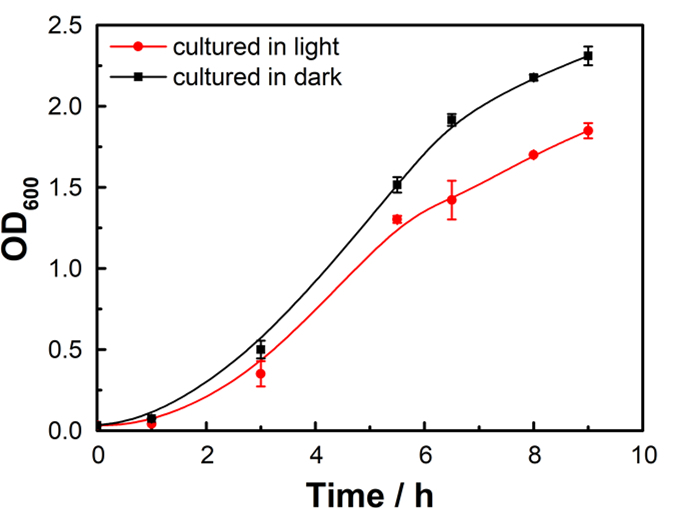 Cells with light illumination all the time, with light illumination until logarithmic phase, with light illumination until late period of logarithmic phase and cells in dark are measured fluorescence intensity. Wavelength of exciting light is 587nm, and wavelength of emitted light is 610nm. The period starting light illumination doesn’t affect on the expression of mcherry, so no matter which growth phase bacteria is, the system can response. Then we insert MNase to vector pLEVIOn. Vector is cut by Pst1 and Spe1, Mnase is from biobrick BBa_K902019. Exogenous gene is amplified by PCR and then linearized vector and gene fragment is ligated with Ezmax. The plasmids are transformed to E.coil 3J1.Positive bacteria is cultured in LB culture medium adding with 0.1% streptomycin overnight, then 1% inoculum of culture solution is operated. 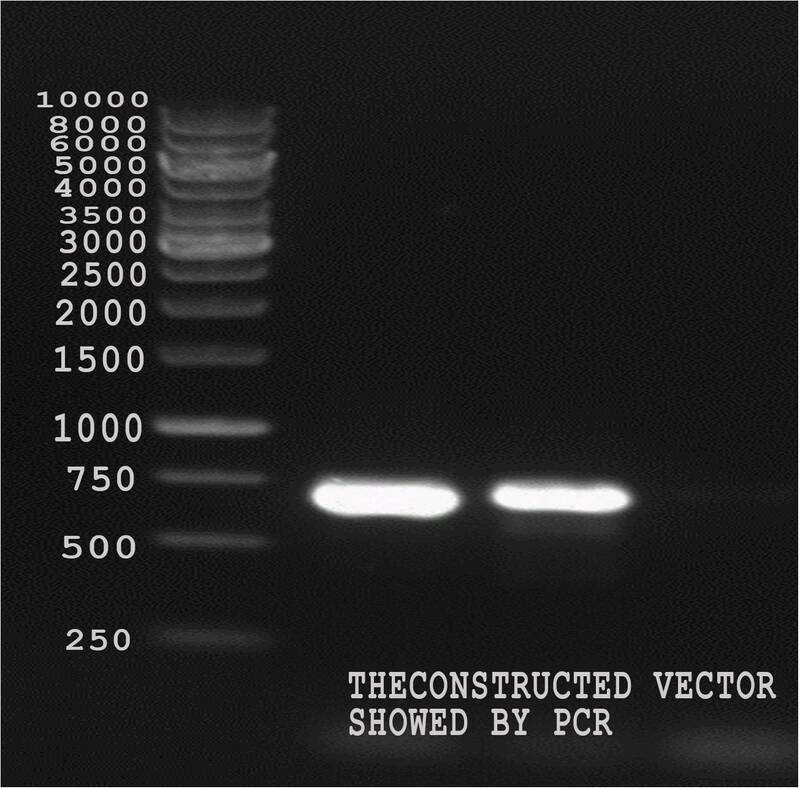 Cells were cultured in dark,then was extracted and verified by PCR. Figure 3: E.coli growth curve under different light conditions. It can be seen that cell growth can be inhibited after light illumination.